Exergame Fitness Announces Strategic Partnership With XRtainment Zone To Provide Exergaming Wellness ProgrammingPalatine, IL – October 10, 2008 – The growing epidemic of Childhood Obesity and Inactivity among kids, teens and adults has prompted the need for entertaining game based fitness solutions that engage users – called Exergames. The Exergame market has a growing number of product solutions that have had a great amount of success in keeping people of all ages and ability levels active through the experience of playing games. The critical next stage is to provide Programs and Curriculum based services that offer complete turn-key solutions for Exergaming locations. 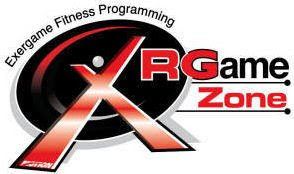 XRGame Zone’s in-depth programming will be headed by Dr. Ernie Medina Jr. DrPH and business partner Joel Peterson J.D. For years Dr. Medina has been the leader when it comes to the Exergaming market. His unconditional pursuit to helping fight childhood obesity thru means of Exergaming is un-matched in the industry. Exergame Fitness is the country’s largest distributor of Exergame fitness products. The proven and tested products have been installed in over 600 locations around the world; including: YMCA’s, Schools, Park Districts, Hospitals, JCC’s, Kids Fitness Zones and Health Clubs. “The Strategic Partnership is an ideal fit, so we can offer the best of everything to our customers from concept to a successful long-term Exergame program that stands alone as a business model or is integrated into an existing facility”, adds Kasanders. www.exergamefitness.com, or call 1-877-668-4664.Exergame Fitness is a division of Motion Fitness LLC. Since 1998 they have provided fitness, health and wellness products for consumer and commercial applications. Exergame Fitness provides Facility Planning & Installation, Grant & Funding Assistance, Program Design & Product Training, Turnkey Marketing Support, Free Layout Designs & Concepts, Programming Curriculums, Financing Options and more.